The Byzantine and Flowers Bracelet combines two weaves into one stunning bracelet. It is most attractive in the two-tone combination as provided in the kit. 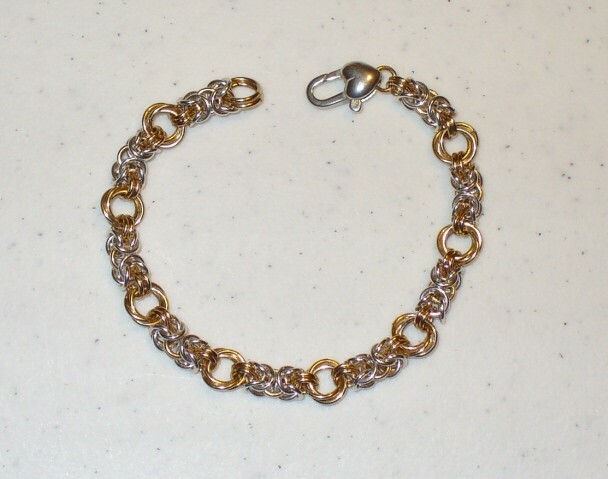 The bracelet is easy to make and comfortable to wear. Matching earrings may be made as well. Check out the Earring Kit section for these. This is a beginner weave. The clasp is not included.